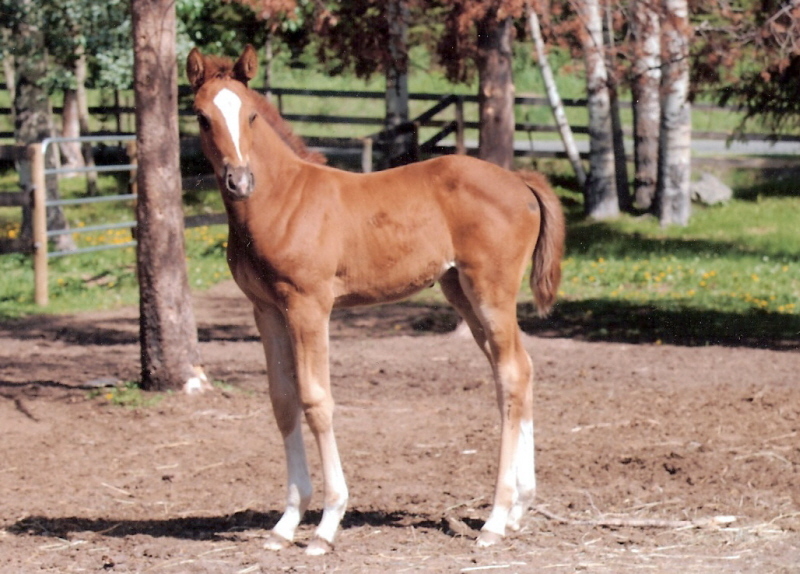 All foals have DNA parentage done, German Hanoverian registered and papered, wormed regularly, and receive their 6-month vaccination. 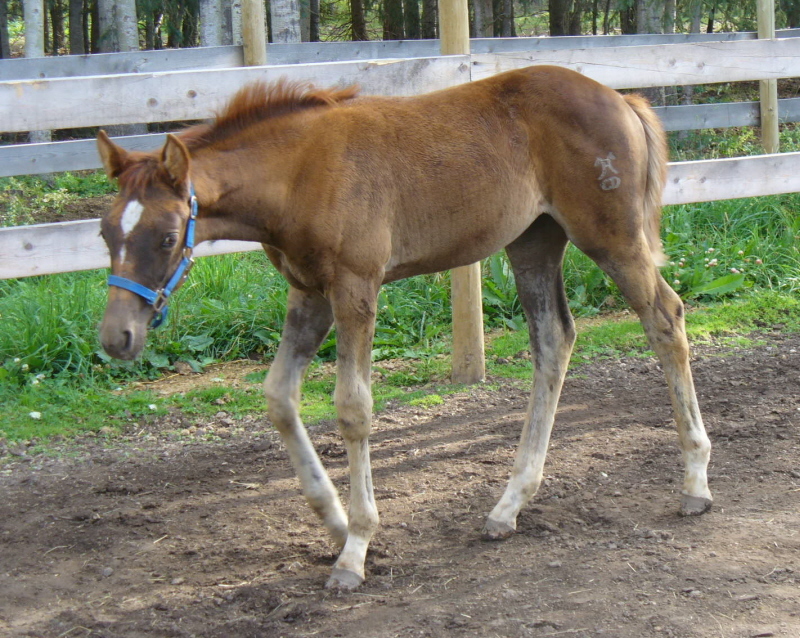 Foals are used to being handled, led in a halter, stand to pick up their feet for the farrier, and basic grooming. 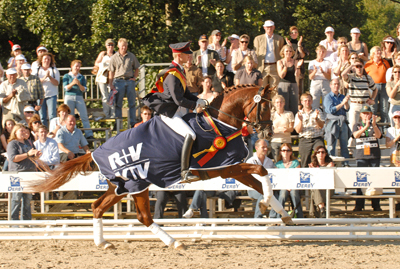 Graf Grannus earned the coveted title of Hanoverian Stallion of the year in 2004. To date he has sired over 362 broodmares, 48 of which have been awarded the State Premium title. He has 20 licensed stallion sons, of which Ginsberg, Goodman and Graf Top are the best known. His current breeding index is 156. 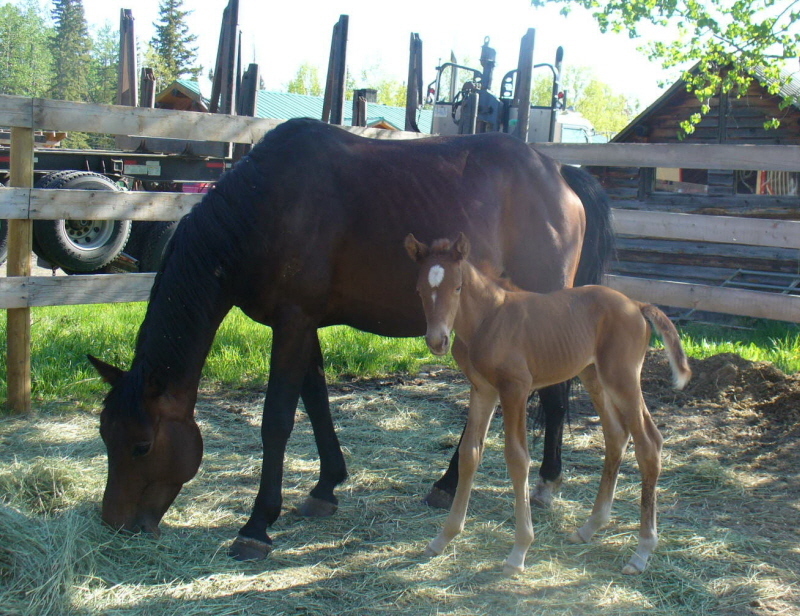 This lovely light bay filly with 2 hind socks and 2 front anklets star and snip born June 20th 2012 is going to be a fancy girl in either ring. 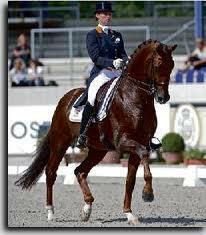 She is by Waldkoenig 16.3 hh - Elite imported Hanoverian stallion by one of Germany's hottest sires. He has a packed pedigree. His sire Wenzel had the distinction of having three sons approved as breeding stallions in 1986 alone. 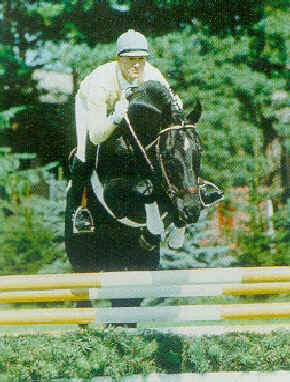 Woermann, his grandsire, competed in both dressage and jumping, passing his dual talents on to his get. Waldkoenig's dam's sire was the legendary Pik Koenig. His pedigree also includes Marconi, Don Carlos, and Argentan. out of 'The Medalist' by Linaro/Caletto 11!! Congratulations to Sasha Bental, of Clinton BC. on her new superstar!!! 'Gemini's' Dam 'Medalist' was presented for approval with the Hanoverian Verband and was entered into the main mare book with 8s for movement, legs, head and neck!!! They said that she pasted on her lovely type and temperament to the foal. They loved Gemini's head and neck and commented on her beautiful movement. We are very pleased with this lovely filly. 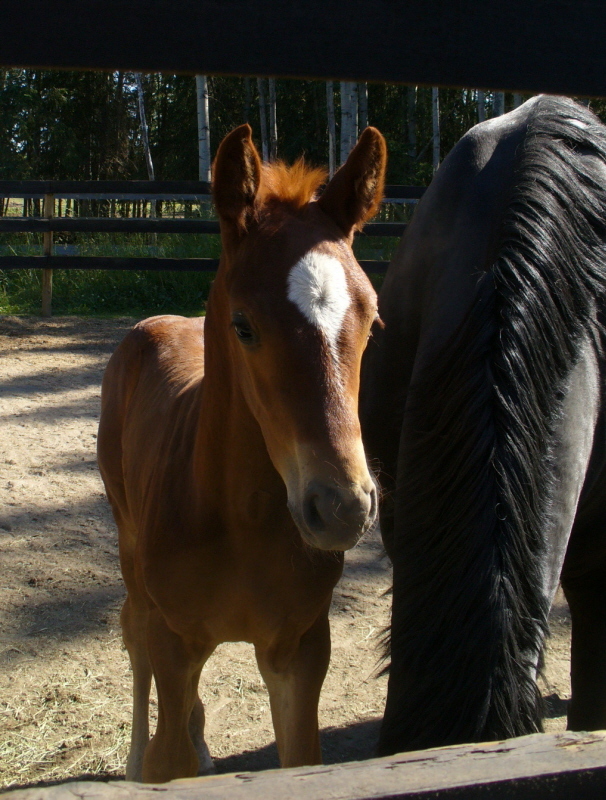 She is being considered for the breeding band in the future. QT is growing up to be a very beautiful girl, she will go far with her big suspended movement and her extraordinaire jumping line. 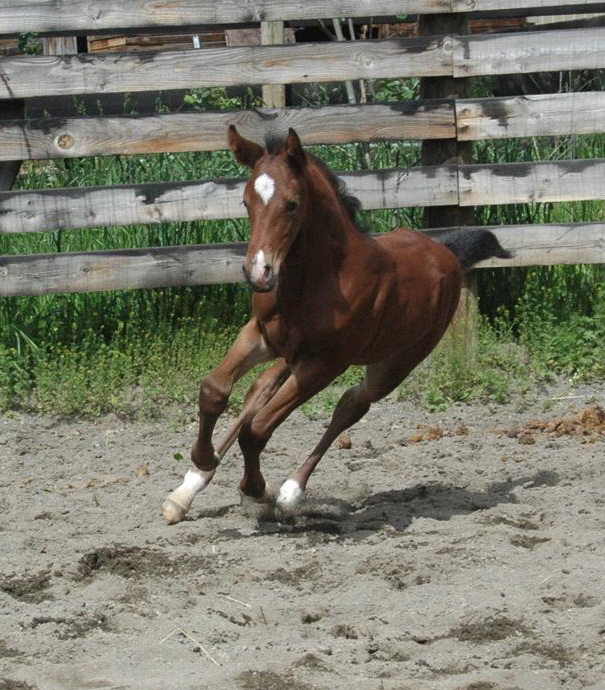 This young filly will be an upper levels prospect for Dressage and will also take you to the top in the jumping ring.